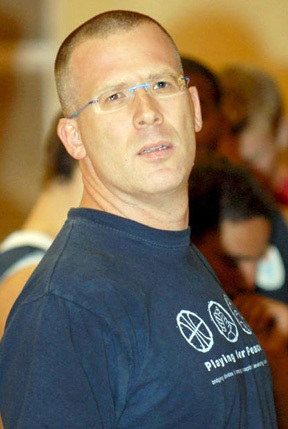 Gilad Katz was a Guard for the UConn Huskies for two seasons from 1990 – 1992. In March 2010, I had the opportunity to talk to Gilad by telephone from his home in Herzelia, A small town next to Tel-Aviv when he shared some United States college and European basketball career experiences as both a player and coach. While at UConn, Gilad had to adapt to playing American basketball and to the expectations that Connecticut basketball required. In his second year Gilad suffered a thigh injury after colliding with teammate Donyell Marshall, keeping Gilad side lined for two months. It was all worth it though, after his two years at UConn Gilad felt that he was a better basketball player, and he was able to enjoy playing in the Big East Tournament and two NCAA Tournaments. 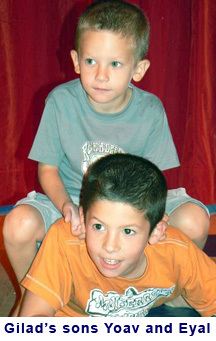 Upon his return to Israel, for the next eight to ten years Gilad made a career of basketball. He played in their first division eventually getting back to playing for Maccabi Tel-Aviv. With a German passport he played in Germany for awhile. German basketball is very advanced so given the opportunity Gilad wanted to play in Germany. There have been notable National Basketball Association (NBA) German players compared to Israel who had their first NBA player this year. Eventually Gilad finished his career playing in Israel again. 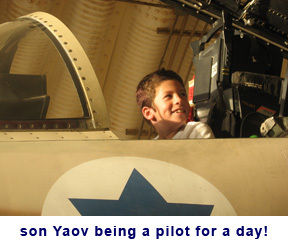 Gilad has been married to his wife Liat for 16 years and they have to sons Yoav age 11, and Eyal age 8. Both sons have dreams to play basketball and go to college in the United States like their father. Gilad continues to watch college basketball because in Europe each basketball team includes up to four Americans so as a coach he always recruits for American players.